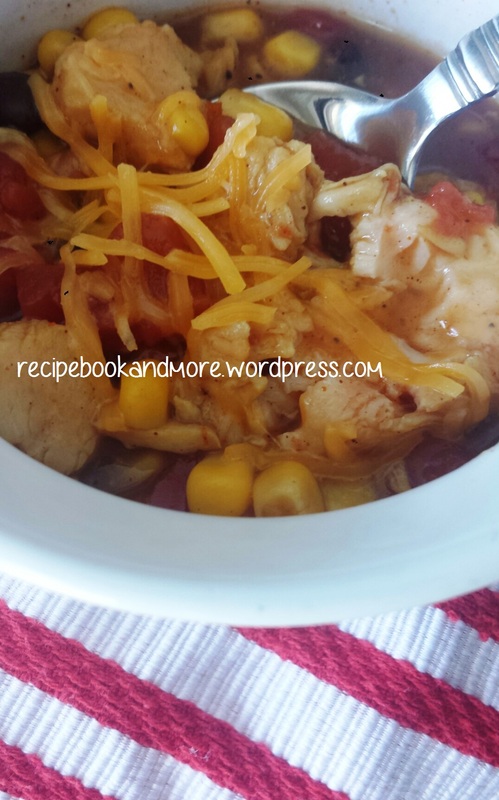 Here is a super easy recipe: Chicken Taco Soup. Part of my SHOP ONCE, MAKE 10 FREEZER RECIPES project. 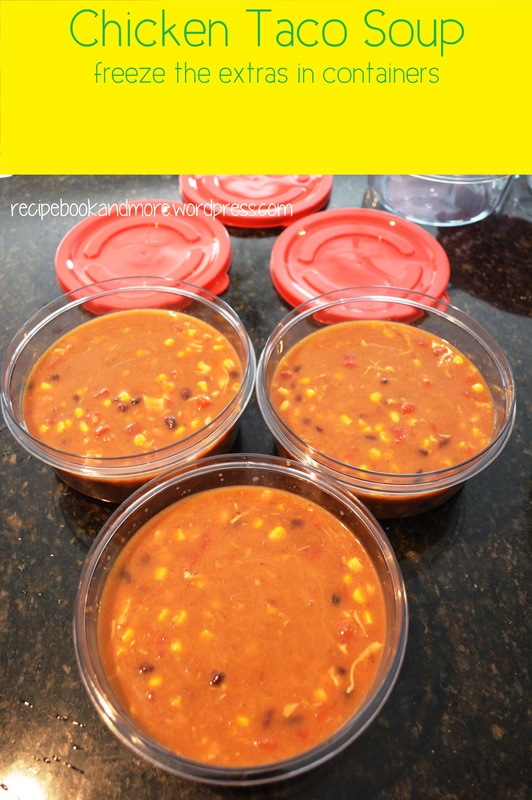 You just pour 8 cans into a pan, add a packet of taco seasoning, and heat on low for a couple of hours! optional toppings: shredded cheese, tortilla chips, hot sauce, sour cream, avocado, etc. 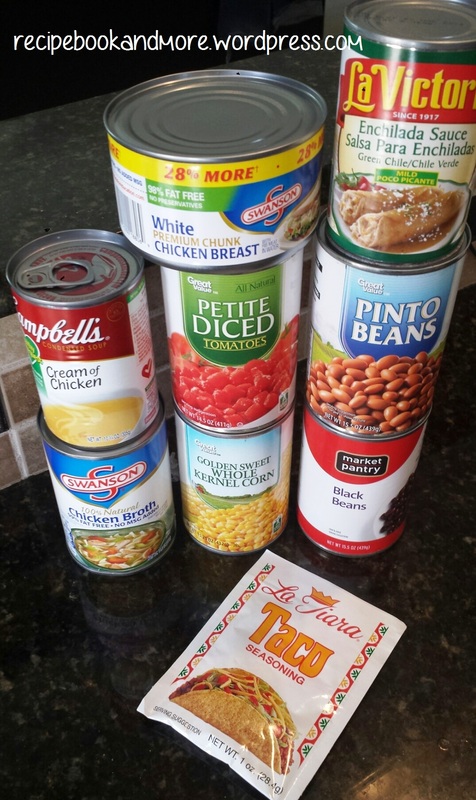 Place all ingredients into a large pot or slow cooker then mix together. Slow Cooker: cook on LOW for 2-3 hours *or* stove top: simmer on low for 30-60 min. Quickie soup rocks. When I make taco soup, I usually add a packet of that ranch powder.